ZSL Whipsnade Zoo’s keepers began the mammoth task of counting every animal for their annual stocktake today. Home to more than 3,500 animals, zookeepers at the UK’s largest Zoo gathered their clipboards and calculators, to take stock of each invertebrate, bird, fish, mammal, reptile and amphibian. Keepers have to count every animal; from a troop of curious squirrel monkeys to Madagascan hissing cockroaches. They’ll also tally up the individuals from eight different species of deer, the Bactrian camels and more than 60 species of birds, including the stunning macaws, George and Inca. 2018 saw the UK’s largest Zoo celebrate the birth of Amur tiger cubs, Dmitri, Makari and Czar, who were added to the census, along with their parents Naya and Botzman. ZSL Whipsnade Zoo’s animal manager, Matthew Webb said: “Today marks the start of the annual stocktake, where we make sure every animal is recorded as part of our official zoo license requirements. The information is shared with other zoos around the world via a database called ZIMS (Zoological Information Management System) where it’s used to help manage the worldwide conservation breeding programmes for endangered animals. 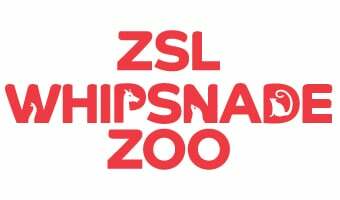 ZSL Whipsnade Zoo is a fantastic day out for the whole family, and is open every day of the year except for Christmas Day.